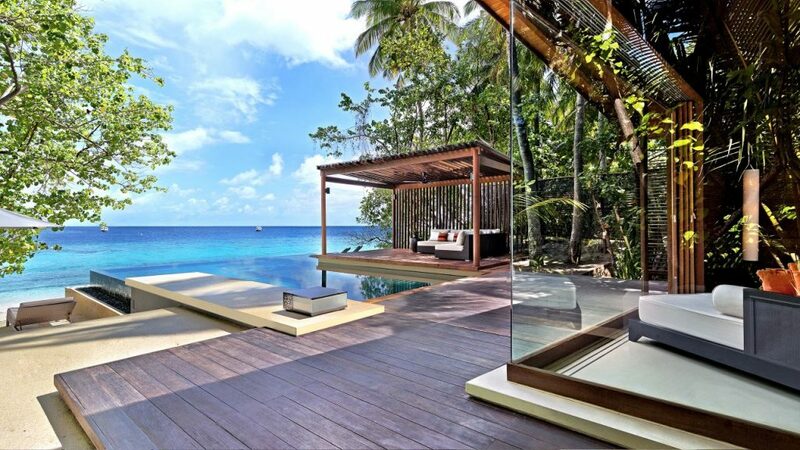 Some of the clearest waters in the Maldives, along with the whitest of beaches make Park Hyatt Maldives Hadahaa one of the most popular resorts in the Maldives. 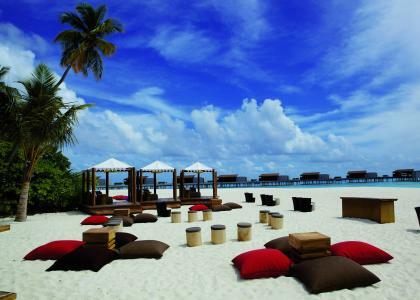 Intimate a la carte dinners at the beach and a wealth of activities add even more bliss to your experience of the ultimate Maldives holiday. 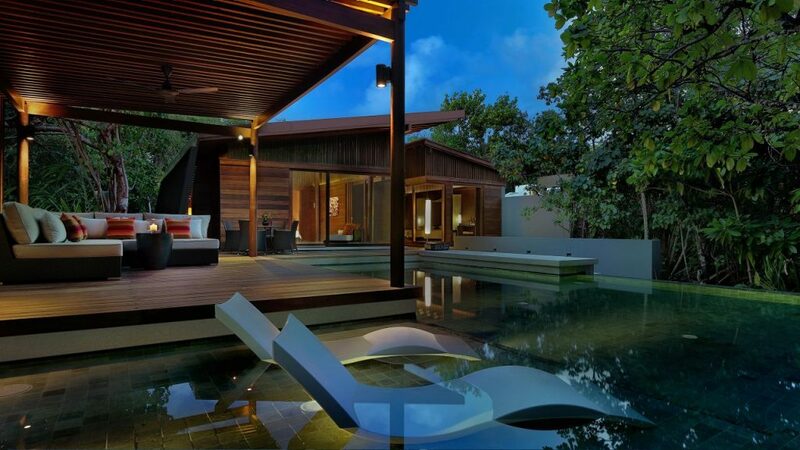 The Park Villa (110 sqm) is hidden away amongst beautiful flora and features a secluded outdoor space made for relaxation. 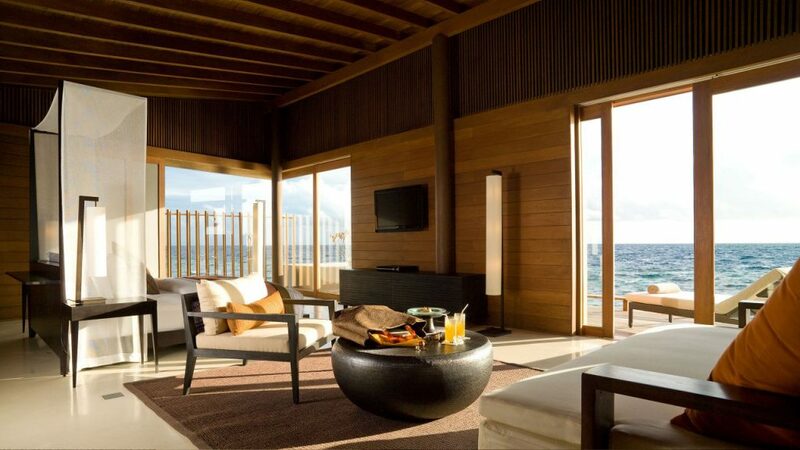 The private sundeck with direct beach access includes sunbeds, seating and a lovely daybed. You also have a lavish outdoor bathroom, complete with a terrazzo bathtub and a rain shower. 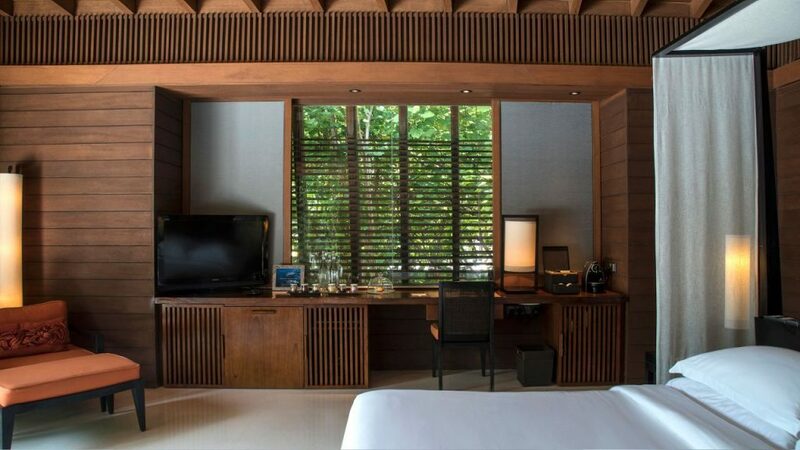 A large king size bed and an advanced home entertainment system add luxury to the Park Villa, which can accommodate three adults. 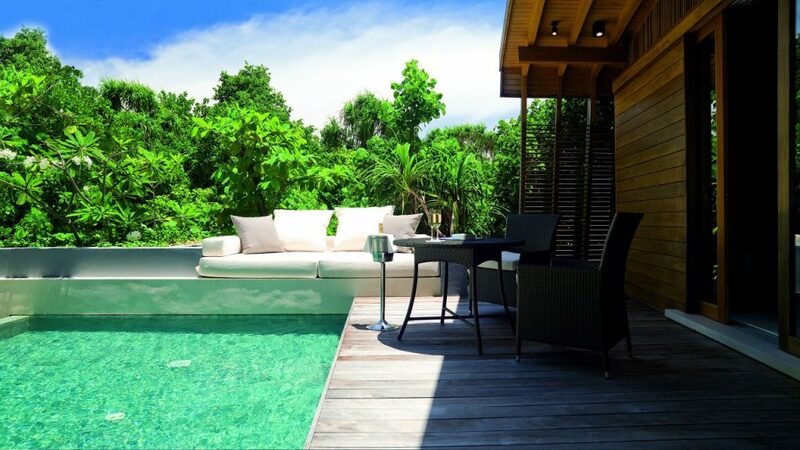 The Park Pool Villas (120 sqm) offer more space than the Park Villa, but more importantly, they also feature private plunge pools. 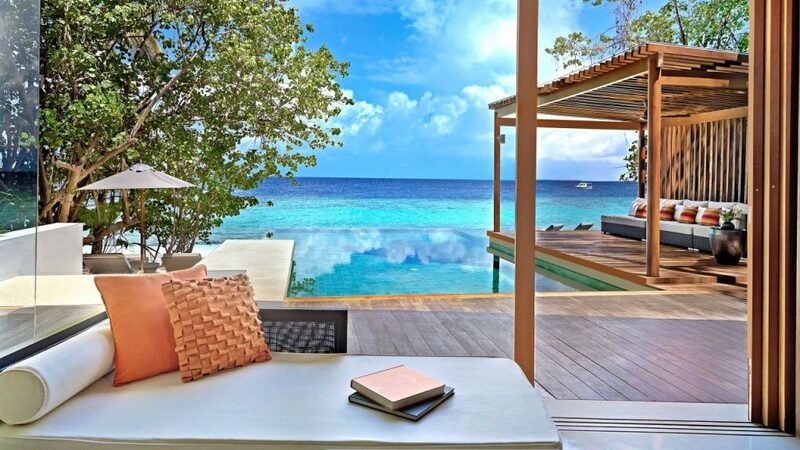 Your sundeck has private access to the stunning beach and includes sunbeds, seating and a daybed. 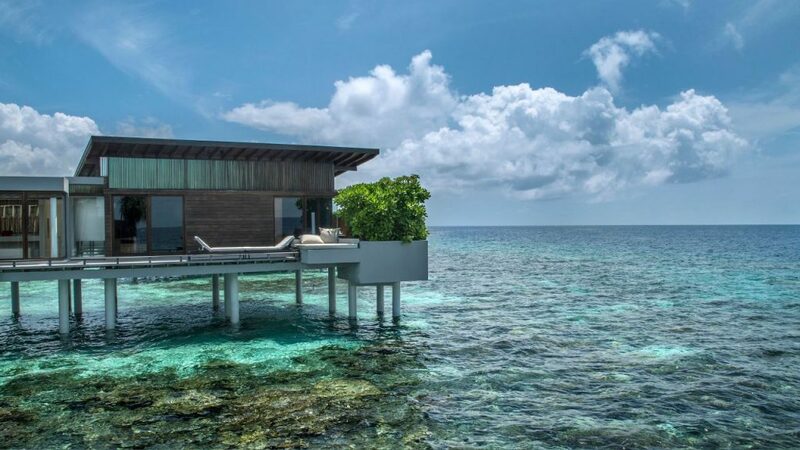 The outdoor bathroom includes a lovely terrazzo bathtub and a rain shower, while floor to ceiling windows let the Maldives sunshine on the beautiful interior of the villa. 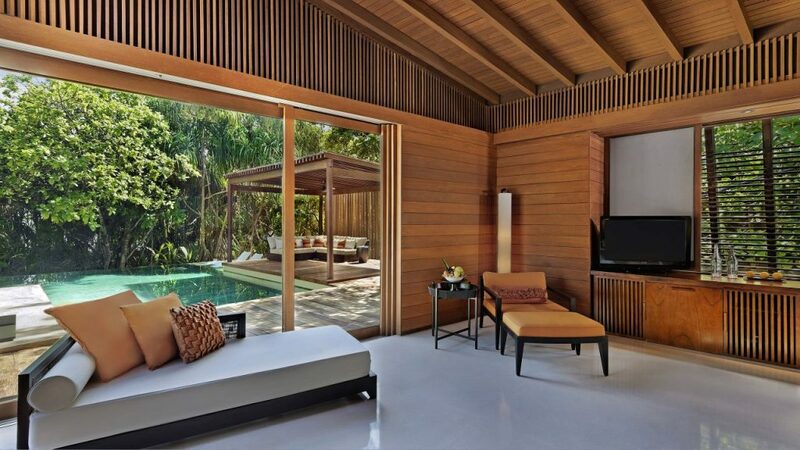 The Park Pool Villa can accommodate three adults. 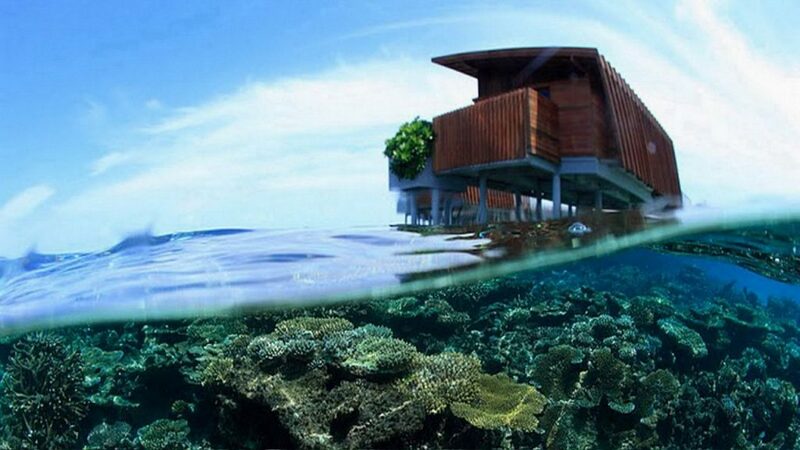 The Park Water Villa (110 sqm) is standing on stilts above the crystal clear water and has indefinite views of the stunning Indian Ocean. 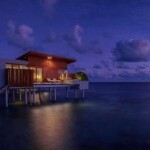 This villa is the ideal choice for a romantic Maldives holiday, with direct access down the water below. 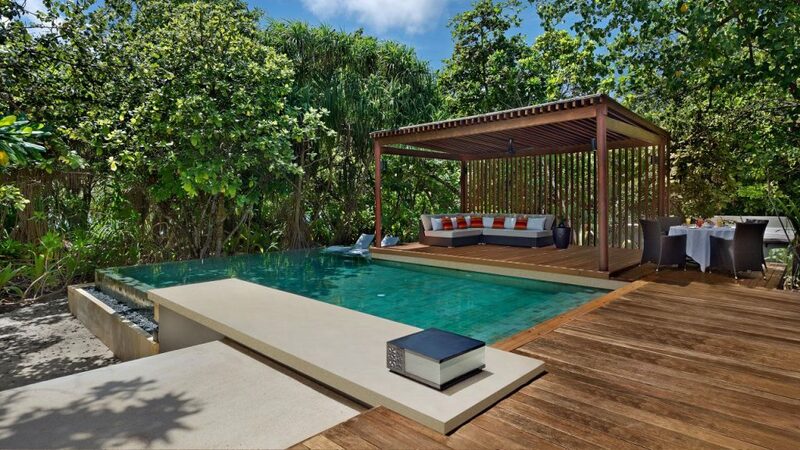 Your private sundeck is complete with seating, sunbeds and a daybed. 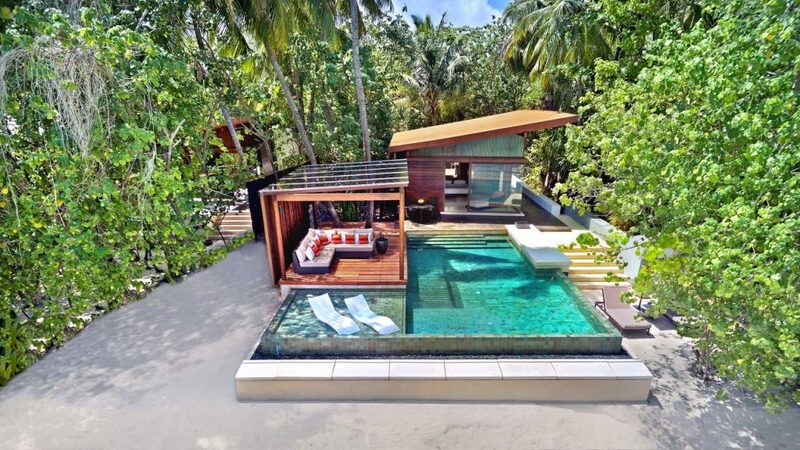 The lavish bathroom has a divine bathtub and a rain shower, adding a piece of tropical luxury to the villa. 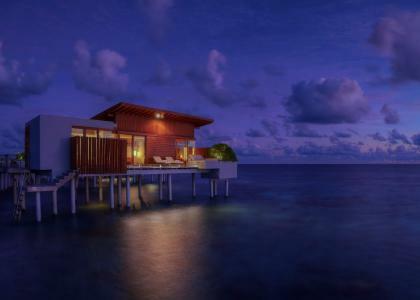 The Park Water Villa has room for three adults. 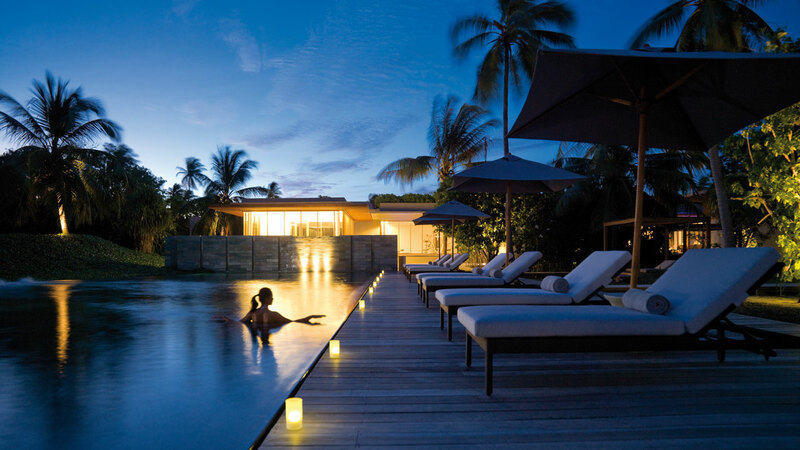 The indulgent Deluxe Park Pool Villas (265 sqm) features a generous large pool with sem-submerged sunbeds, an outdoor cabana and inside you’ll find a plush king-sized bed and private outdoor terrazzo bath with rain shower. The spacious Two Bedroom Park Pool Villas (300 sqm) features a generous large pool with sem-submerged sunbeds, an outdoor cabana and inside you’ll find a plush king-sized bed, a second bedroom with twin single beds and private outdoor terrazzo bath with rain shower. 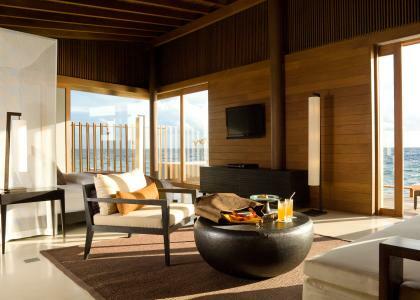 Enjoy the peaceful 115 sqm water villas with ocean vistas featuring a plush king bed, indoor bathtub, private deck with plunge pool, semi-submerged sun beds, outdoor bale and direct access to the reef. 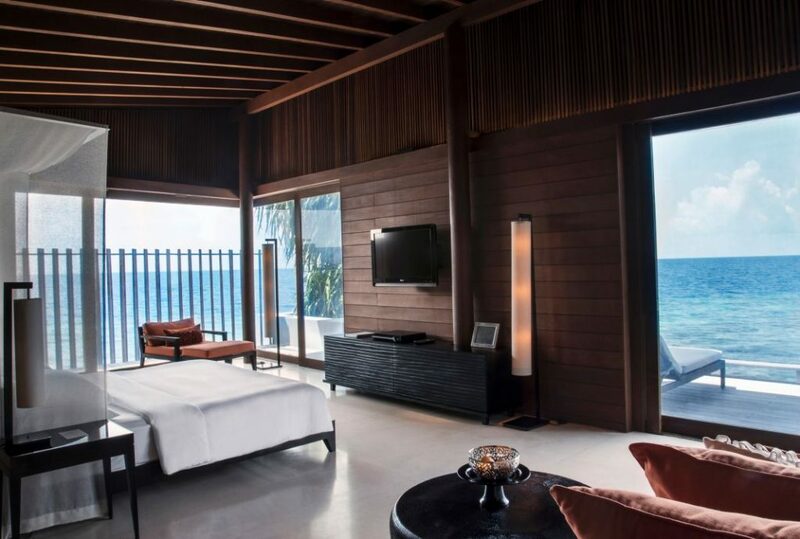 Park Hyatt Maldives Hadahaa is an exclusive world of its own – here you will find everything you need to fulfill your dreams about the perfect Maldives holiday. Multilingual staff, laundry service, on-site doctor and extraordinary room service around the clock are only a few of the things that will make your holiday truly enjoyable. When it comes to activities, you are simply spoiled for choice. 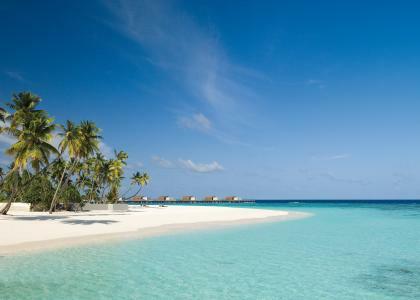 How about learning to cook Maldivian specialties, go shopping or exploring the excellent house reef a bit closer? 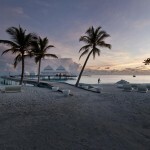 It’s all possible at Park Hyatt Maldives Hadahaa. 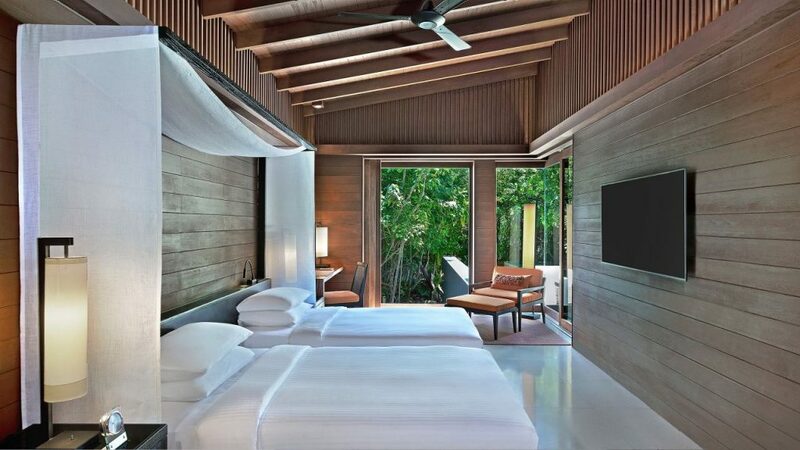 This resort is known for its great snorkeling and scuba diving facilities, but guests can also go kayaking, attend the sunset yoga session or work out in the fully-equipped gym. 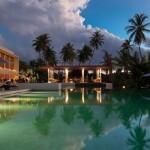 In addition, the resort boasts two amazing freshwater pools where you can cool off. If you want to explore another side of the Maldives, why not sign up for a fishing excursion or go on a boat trip to a deserted island? Vidhun Spa uses natural resources in treatments designed to revitalize your energy and make you feel relaxed. Located in the most tranquil setting of the entire island, Vidhun Spa gives guests a chance to leave their worries behind and only focus on their wellbeing. 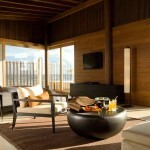 How about a green tea and cucumber scrub, followed by a relaxing Balinese massage? 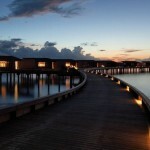 If this was a novel, the dining of Park Hyatt Maldives Hadahaa would have its own chapter. Restaurants treating your taste buds to delicious cuisine in breathtaking surroundings is what you will experience every day of your Maldives holiday. And for that ultimate exclusive dining experience, why not take the opportunity to enjoy Private Dining somewhere on the island together with your loved one? The Dining Room has an international a la carte menu for breakfast, lunch and dinner. 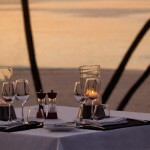 Here you will enjoy fantastic flavours and fine wines with the Indian Ocean as a backdrop. 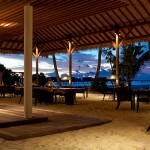 The Island Grill makes for the true island dining experience, serving grilled delicacies on the beach. 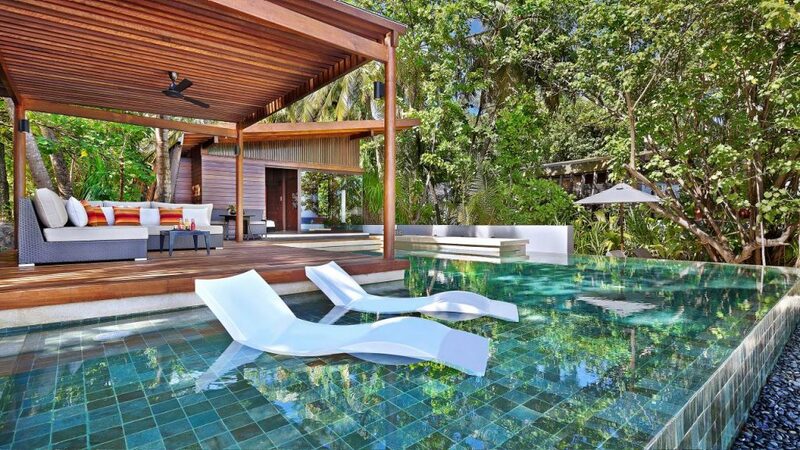 Sit on one of the swing chairs while you watch the chef prepare your dish to perfection. 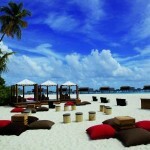 The Bar offers a laidback atmosphere in a beachside location. Beverages of all kinds are accompanied by snacks and salads. This is the perfect spot to welcome the sunset in the early evening, sitting in one of the cabanas. The Dhoni features unique design – inspired by a dhoni (Maldivian fishing boat). This is a recreational living area. 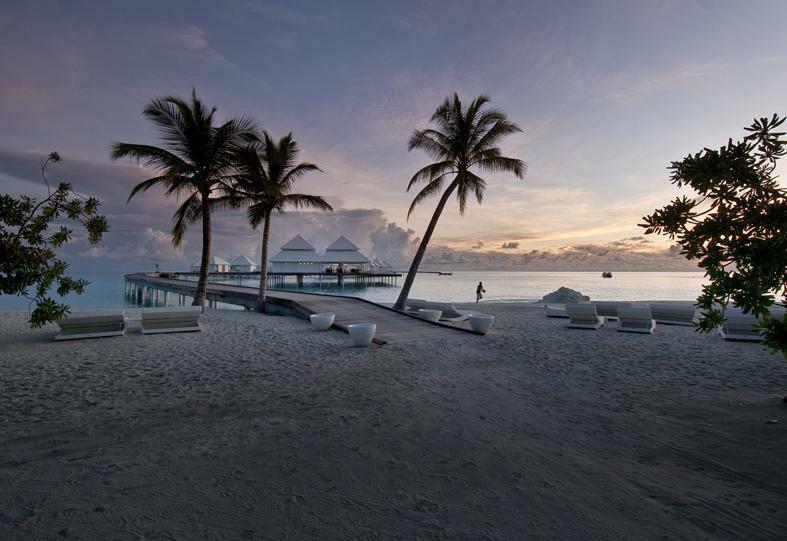 Simply Maldives Holidays offer a Bed and Breakfast package, a Half Board package, a Full Board package and an All-Inclusive package to guests staying at Park Hyatt Hadahaa. Please note that this offer is subject to a minimum stay of 5 nights.